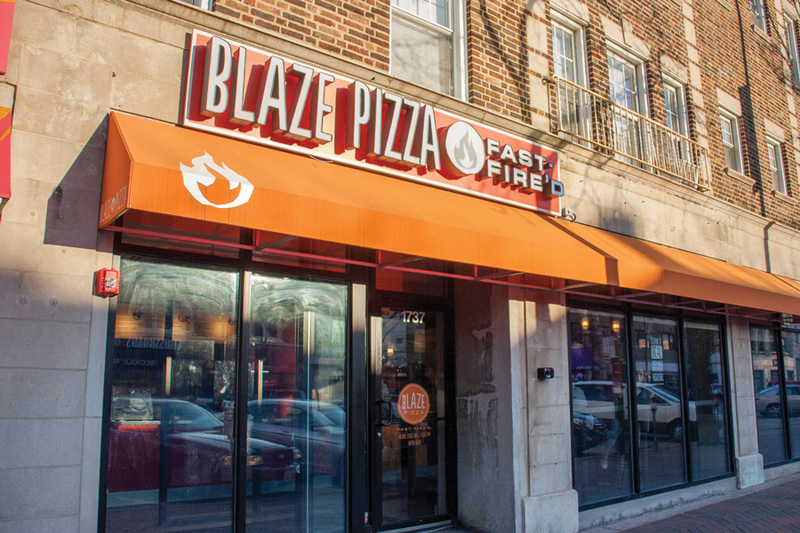 Blaze Pizza in Evanston, 1737 Sherman Ave. Student organizations often partner with local restaurants for profit-sharing fundraisers. You’ve seen the Facebook events: “Come to Blaze, a portion of the profits go to our student organization.” Or student groups may be asking you to come to Chipotle, Naf Naf Grill or even Epic Burger. When the academic year begins, it’s profit share season. Since Chipotle, once a staple of Northwestern student organization profit shares, reduced the percent of profits it gives to groups from 50 percent to 33 percent, there has been room for other businesses, like Blaze Pizza, to gain footing in the profit share market. Profit shares allow customers to support area organizations while paying normal price for local eats and generate additional profits for businesses, especially those near college campuses like Northwestern, which has an abundance of student organizations. Communication sophomore Jillian Korey, who planned a profit share through Chipotle to raise funds for her production of the play “You Got Older” in collaboration with WAVE Productions, said fundraiser money made up one-sixth to one-fifth of her planned budget, which also includes grants from Associated Student Government and Hillel. She said she hopes to raise between $100 and $200 to fund set design and lighting, and subsidize free tickets. Weinberg junior and Global Brigades public relations chair Troy Biermann said Chipotle, which until this June gave organizations 50 percent of profits, used to be the most popular fundraising destination. By comparison, businesses such as Blaze and Epic Burger offer 20 percent of profits returned to the participating organization. Richard Perez, Blaze’s general manager, said students often hear about profit share opportunities by word of mouth and that they either walk in or call the restaurant to learn more. He also said Blaze looks for students with club and organization apparel who visit the store and refers them to fundraising opportunities. According to Perez, the vast majority of profit shares occur during the Northwestern school year. During the summer, he said Blaze hosts only a couple fundraisers a month..
Students who wish to fundraise with restaurants generally apply through web applications that ask for information like a description of their club and the expected number of attendees. If their fundraisers are approved, the restaurants often give them custom promotional materials, and groups may create Facebook event pages and make their own posters or flyers to further promote the events. Blaze fundraisers typically generate sales of $200 to $300, Perez said, although he has seen organizations bring in over $1,000. Global Brigades generates a few hundred dollars a year from profit shares and the majority of the club’s estimated $8,000 in funding comes from grants and Cats Give Back donations, but Biermann said that the club’s goals in fundraising are as much about raising profit as garnering exposure.